Ahh the Rover Round Table. The elusive promised land. What is a Rover Round Table? I can best describe it as this: A Rover Roundtable is when a collection of crews, usually in a geographical area, come together to work cooperatively. The three focal points are Service, Social and Skill development. With this buttressing of resources, the possible activities available to the members increase exponentially. What 5 Rovers can do is very much different from what 270+ Rovers can do. This level of numbers produces exciting level of activities; the kind that retains Rovers in the movement, retains the younger members, and draws in new members. What follows is the Coles Notes of the history of the PCC Rover Round Table (Or lack there of more specifically) over the last ten years. So why isn’t this already happening? It was. Until the restructuring in 2002. Sorta. I’ll explain. In 2002, Scouts Canada changed how everything was structured. Districts were amalgamated into areas, and regions into councils. Nothing special so far. As part of the normal proceedings of such restructuring, the ‘books were closed’ on all of the old structure at the end of the year, and all of the new structure started up after that. This included the old Rover round tables. This is where the sorta comes in. After that point, the round table was never started up again. Officially the restructuring killed the round table, but unofficially it was already dead. 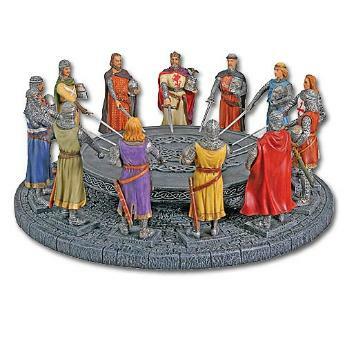 From through the grape vine, I understand the round table wasn’t very functional at that point any way. It would be hard to re-start something that didn’t have the strength to do so. So what happened since then? The current drive to get this going again actually started maanny years ago. 2004 to be precise. That’s when the 15th Maquinna Rovers hosted a Rover Forum (round table by another name), and RoversBC.com came out of that. This worked quite nicely for some time. We had a strong level of chatter, and people actually posted. We even had one day where there was over 100 posts, but that was mostly us Rovers being silly. Once we got most of our grievances (which made up a stark percentage) out on paper, the forums grew quiet. Only the odd voice in an empty abyss echoed down the maze of tubes that reached those left. In 2007, a noble, yet doomed effort was made to start a round table again. I say noble, because I was the principal involved, and because it was naive. Work was done, but not the right kind, nor enough. A draft Terms of Reference was made. Old materials from the last round table were dredged up from helpful sources. A list of Rovers was procured. (DADadadaaa Daaa Daaa DA! da-Daaa!) Phone calls made. Then nothing. Unfortunately it hit the back burner. Burn up two and half years of calender and you reach the semi-present day. Three Rovers, them being Kit, Gonzo and myself, relapsed and got back the Round-Table-itis disease. A really bad case of it too. We started anew, and hunted for the lost treasured needed to cure us. A list of Rovers… Ahem, Rover aged members, was gifted from the Scout office. A visit with the mighty oracles of Council. They even passed down a blessing on us. “The Council will support the new Rover Roundtable by appointing an Advisor at the time of the elections and with continued communication on potential service, social, and skill learning opportunities.” A date was picked, and messages sent out to all announcing a the first gathering of the Rover in PCC in almost 8 years. All good stories have a cliffhanger.